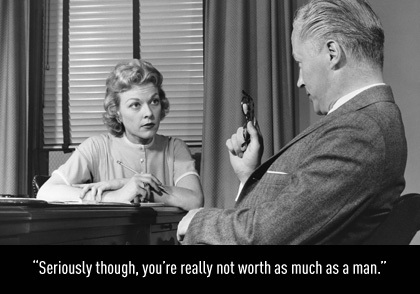 Did you know that women, on average, are paid 23 percent less than men? 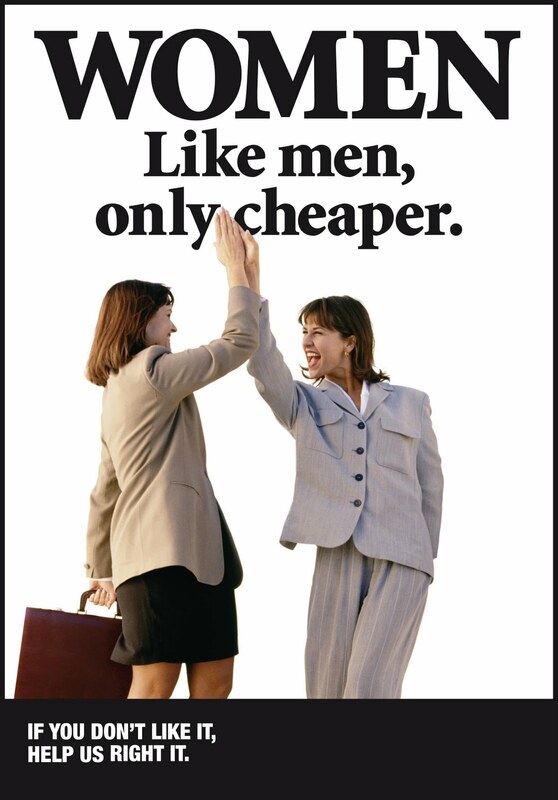 Yesterday was Equal Pay Day, a public awareness event started in 1996. It happens on a Tuesday to represent how far into the work week women must work to earn what men earned the previous week. 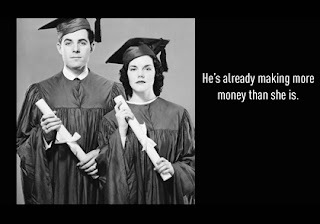 (So women must work 1 week and 2 days to make as much money as men who work 1 week in the same job.) This year it fell on April 12, “the symbolic point at which the average woman's salary finally catches up to the average man's earnings from the previous year.” That means that women take nearly 16 months to earn what men earn in 12 months. Readers, did you know this? It blows my mind and is not talked about enough. I remember learning in college that the women's’ faculty salaries are lower than the mens’ -- my brain almost exploded. As a young woman entering the work world this just hurts. Dear World, Sometimes you disgust me. It’s 2011, get with the freaking program! Of course, everyone has the right to make his or her own work/life balance decisions. It is true that women sometimes take lower paying jobs because they value spending time with their families more. And that’s great. But I’m talking about the women who do the exact same thing as their male counterparts and are paid less for it. I know that life isn’t always fair…but come on! I don’t usually get super political here at Eat Run Read, but some things are truly rant-worthy and this is one of them. 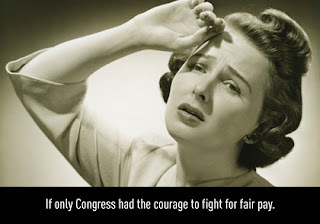 There’s legislation in the works, go here and find out if your senator voted for the Paycheck Fairness Act, and tell them that you want them to support fair pay!